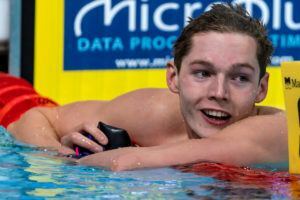 Finishing 9th in the heats and just out of the A-final of the men’s 100m freestyle for tonight was 16-year-old Matthew Richards, but he captured a couple of milestones nonetheless. Jessica Vall broke her own Spanish national record in the semi-finals of the women’s 50 breaststroke at the 2019 Spanish Open Swimming Championships. Sarah Sjostrom is primed for a big night of finals at the FINA World Cup stop in Budapest. The 2018 Mediterranean Games wrapped up with a historic men’s 50m freestyle, another gold by Mireia Belmonte and a dominant victory by Gregorio Paltrinieri. 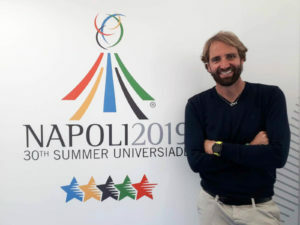 Simona Quadarella helped kick-off the Italians’ siege on the medal table through night 1 of the 2018 Mediterranean Games. With new, tougher qualifying standards for the European Championships, Mireia Belmonte was the only swimmer after day 1 to automatically qualify for the team.